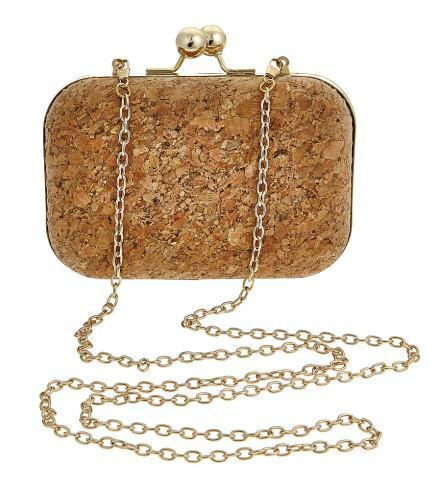 Infuse your handbag collection with cork and take the Monogrammed Kylie Clutch out for a night on the town. The sizing is just right to carry your necessities: iPhone, keys and lip gloss. 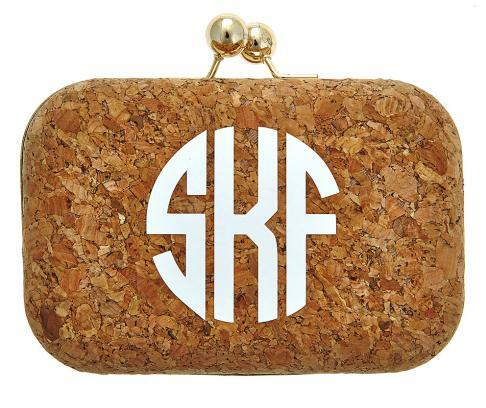 This cute cork clutch is Monogrammed with 3 letters or one letter. Choose your monogram font, and font color. 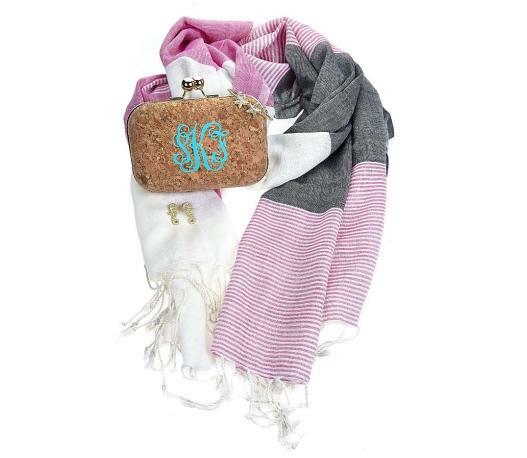 A great clutch that goes with everything all year long. A nice clutch size at 6” wide x 4” tall x 2” deep and it comes with a 50” long removable chain. Price: $65.00 In stock! - Browse this brand: FornashOur products are custom made to your specifications. This product ships up to 2 weeks after your order is placed.